As tastes have changed over the years, so have designs for both the outside and inside of homes. 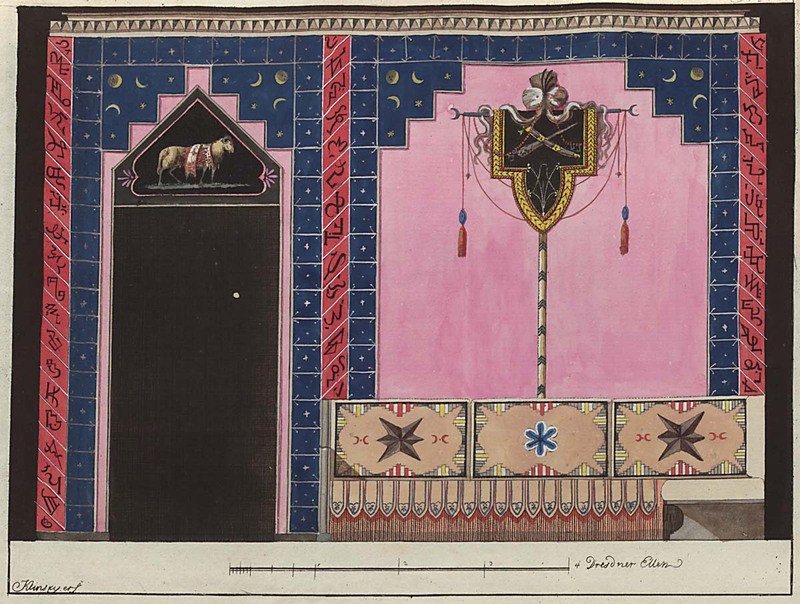 Library materials help to document those changing styles in landscapes and interiors. Treatises on garden design and architectural plans help us to re-create exteriors, while design manuals, trade catalogues, and fashionable periodicals all illustrate possibilities for interiors. By Humphry Repton, printed by W. Bulmer and Co.
A famed British landscape designer, Humphry Repton promoted a naturalistic style of gardening. His publications showed suggestions for improvements with hand-painted “before” and “after” designs for landscapes. 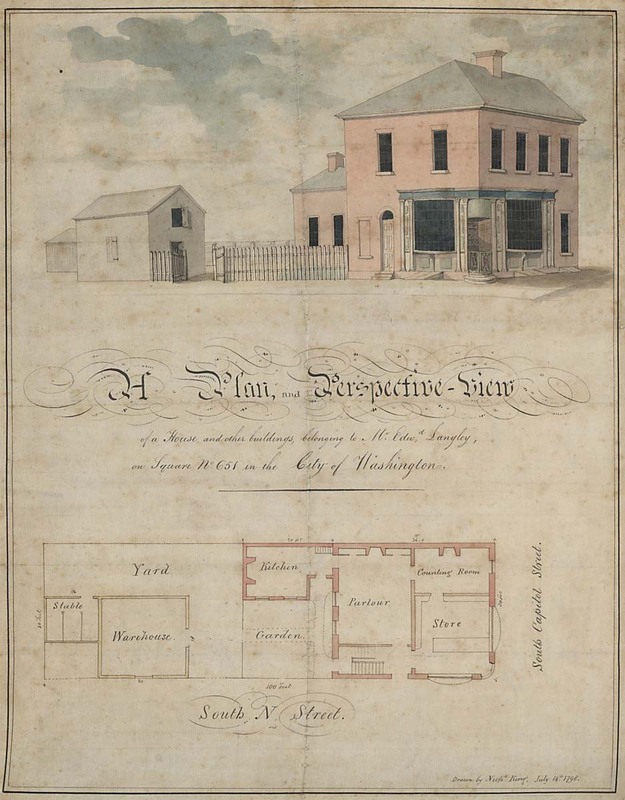 Nicholas King worked as a city surveyor and architect in the infant capital city of Washington. He designed this federal dwelling (which is no longer standing) to contain the owner’s business as well as his private living quarters. 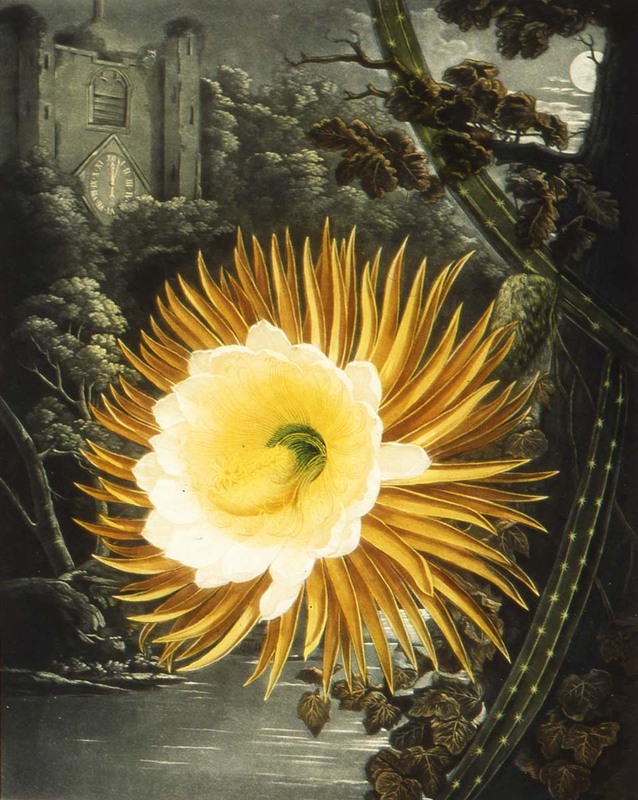 The Temple of Flora is considered to be one of the most magnificent botanical works ever produced. Published in the early 1800s, it illustrates botanist Carolus von Linnaeus’s system of classifying plants and identifies many exotic flowers that were available to gardeners at the time. Long before air conditioners, awnings helped to keep homes cool. In this volume, the Otis Company presents a parade of the most popular house styles of the day, discusses their individual architectural personalities, and recommends awning fabrics most suited to each design. 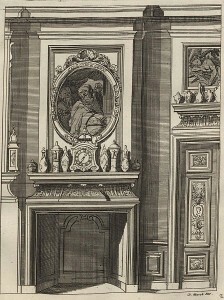 Notice the porcelain vases above the mantel in Marot’s illustration. Vases similar to the set shown here from China were exported to Europe for use in elaborate displays. 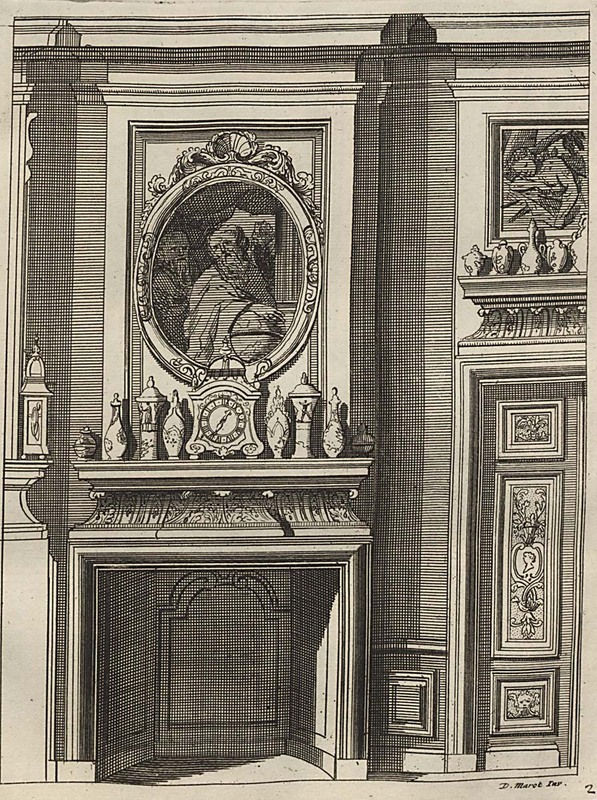 Daniel Marot designed interiors of royal palaces in Holland and England for William III and Queen Mary, including chimneypieces for Queen Mary’s displays of Chinese porcelain. Made by William Gomm Jr. This charming watercolor design by the English cabinetmaking and upholstery firm of William Gomm & Son & Co. shows high-style furnishings and their placement in a formal drawing room of the period. The volume seen here documents the design projects that the Scottish-born Adam brothers had completed. With the book, they hoped to demonstrate to future patrons their ability to design furniture, lighting fixtures, and architectural details. The compilation was one of the most influential of its day. 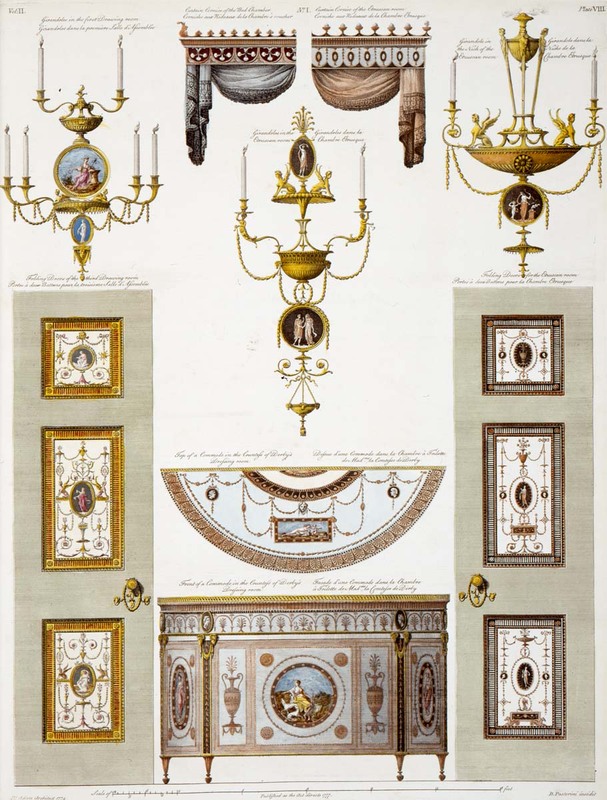 The periodical Magasin für Freunde offered a menu of design ideas for architects and their clients, including Islamic, Pompeiian, pastoral, and Roman room settings. 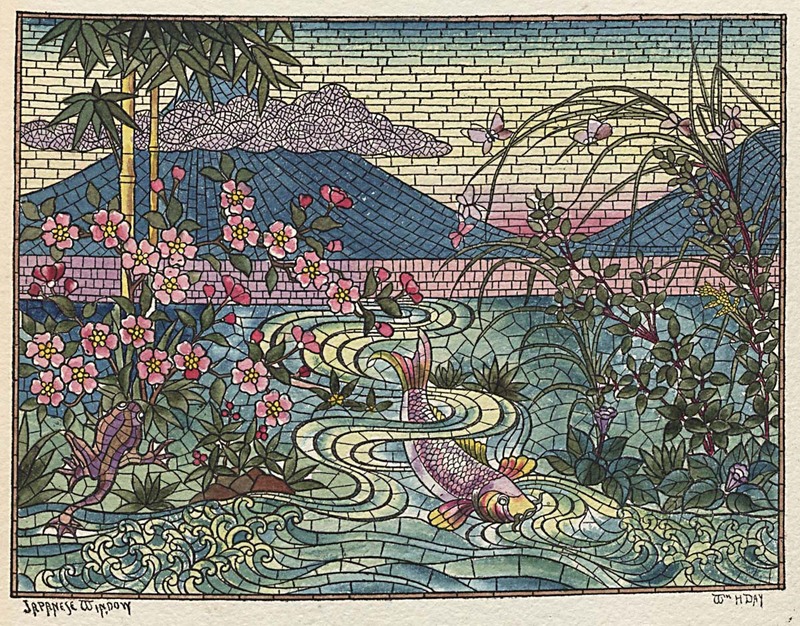 The Belcher Company created this design when residential stained glass was in vogue. The window appeared at the height of the aesthetic movement, a style that was greatly influenced by the arts of Japan.